Lower Thura House in Bower, near Thurso, Highlands sleeps 6 people. Lower Thura House near Thurso is situated in a rural location on a working beef and sheep farm. This traditional, stone-built, 18th-century farmhouse was once a staging post and inn where horses would be re-shod before continuing on. This detached house has been beautifully restored and renovated over the years, whilst retaining many charming original features, including beams and exposed stone wall. It is a very warm and homely house, proffering a feeling of space, with its large rooms and high ceilings and it oozes character. The spacious farmhouse-style kitchen/dining room is a real delight. With a high beamed ceiling and large dining table, it provides plenty of space for families and groups. It is exceptionally well equipped with modern built-in units and electrical goods. A door leads through from here to a conservatory with table and chairs, and the views across the pretty gardens make this an ideal spot to sit and enjoy a pre-dinner drink whilst planning the next day’s excursion. 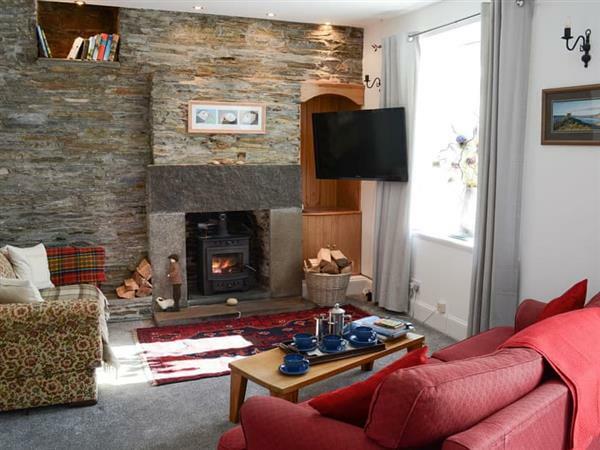 The living room is particularly captivating, with a feature exposed stone wall and welcoming wood burner. An original farmhouse staircase leads up to two further bedrooms and both have superb views across open countryside. The gardens are a real delight with a substantial lawn enclosed by old stone walls and mature hedges, making it private and secluded. Lower Thura House is situated in an ideal location for exploring the north of Scotland and is situated close to the North Coast 500 route, which passes through some of the most dramatic scenery to be found anywhere in the British Isles, and equidistant between Wick and Thurso, both just 10 miles away. There are numerous stunning sandy beaches close by. The nearest beach, Dunnet Bay, is particularly spectacular with high sand dunes and a long sandy bay, and it is popular with surfers. There are plenty of places of interest within easy reach including the Castle of Mey, Castletown Heritage Centre and a number of distilleries which are open to the public. A day trip on the ferry to Orkney is certainly a must. Fishing, golf, walking, surfing, kayaking and cycling are just a few of the accessible outdoor activities in the region. The beach is 6½ miles from Lower Thura House near Thurso. With the shop, pub and restaurant 5 miles from Lower Thura House. Living room: With wood burner and 46 Freesat Smart TV. Kitchen/dining room: Farmhouse style with electric cooker, microwave, fridge/freezer, dishwasher, 36 Freesat Smart TV and beams. Oil central heating, electricity, bed linen, towels, Wi-Fi and logs for wood burner included. Welcome pack. Large, enclosed lawned garden with sitting-out area and garden furniture. Private parking for 3 cars. No smoking. Holidays at Lower Thura House run from Saturday to Saturday. For a better idea of where Lower Thura House is, you can see Lower Thura House on the map below. Lower Thura House is in Caithness; should you be on the lookout for a special offer, you can find all the special offers in Caithness. It's always worth checking to see what is on offer at the moment. 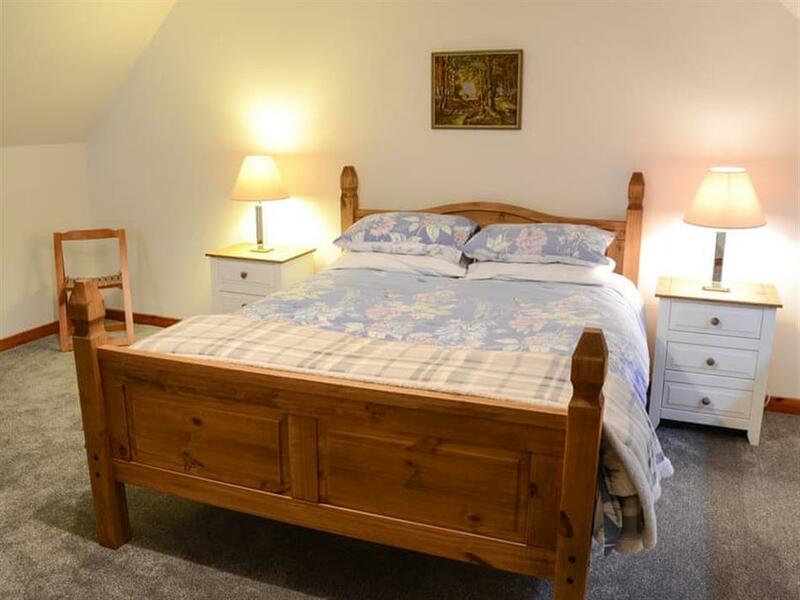 Do you want to holiday near Lower Thura House (UK5994), you can see other cottages within 25 miles of Lower Thura House; have a look to find your perfect holiday location.